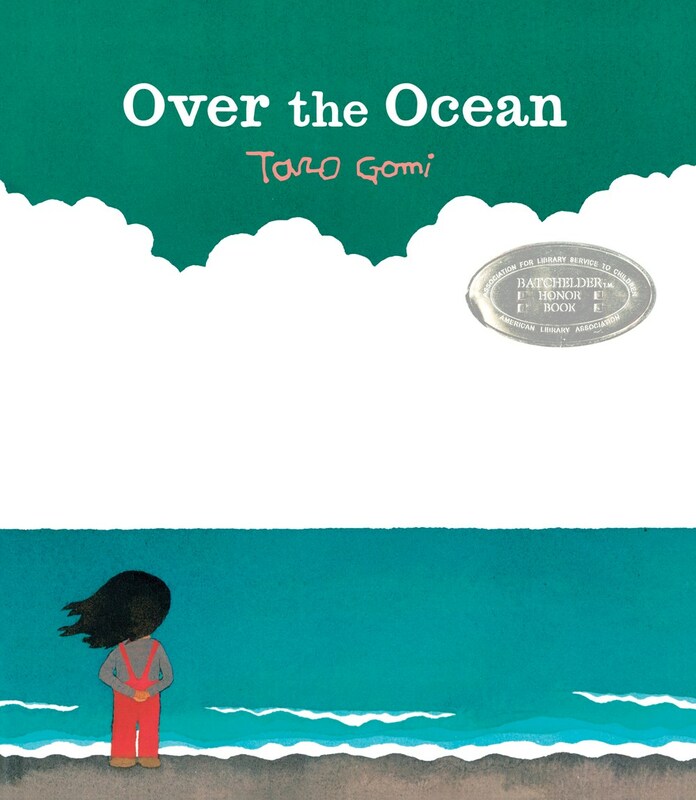 This month's #kidlitpicks theme celebrates mighty girls in children's literature, and I'm excited to showcase Taro Gomi's protagonist from Over the Ocean. 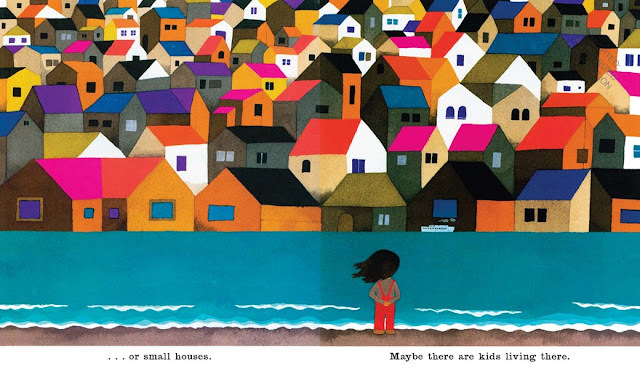 Originally published in Japan in 1979, this timeless picture book quietly asks readers to reflect on their lives and use their imaginations to think about the world around them. I settled on the girl in this book as my mighty girl not for her physical strength or outright bravery, but because of the power of her imagination. This girl chooses to think outside of herself for the entirety of the book, wondering about life on the other side of the ocean. Are there big farms? Are there bullies? Are there animals that she's never seen before? Perhaps there's even someone standing looking out over the ocean just like she is. This girl selflessly takes time out of her day to ponder lives, animals, places she has never experienced, giving her the power of imagination and curiosity with which to explore the world outside of herself. 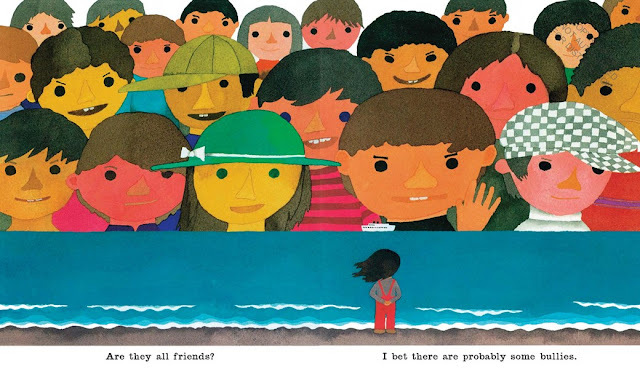 The illustrations are colorful and, more importantly, visually represent the emotions behind the girl's thoughts: when she thinks about bullies we see large children against the oceany backdrop, but when she wonders if there's someone else on the other side of the ocean, we see a single, small figure. She envisions hundreds of small houses packed together versus widespread farmlands. We never see this girl's face, and yet we can accurately pinpoint the emotional reactions she's having based on what she "sees." It's pretty incredible. Over the Ocean published last year from Chronicle Books.